I actually can’t even stand the thought of cooking eggs. This too shall pass. I decided to mix it up and try something new. I made this a couple weeks ago and posted it on the Facebook page and Instagram and people have been asking for the recipe so here it is. Enjoy! Feel free to add and take away ingredients to make it your own. 1. Blend all ingredients except chia seeds into food processor or blender. 2. Pour the mixture evenly into two sealable jars (I used glass mason type jars) then add the chia seeds (1/8 cup per jar). Seal and shake the jar like a salt shaker. No, harder than that! 3. 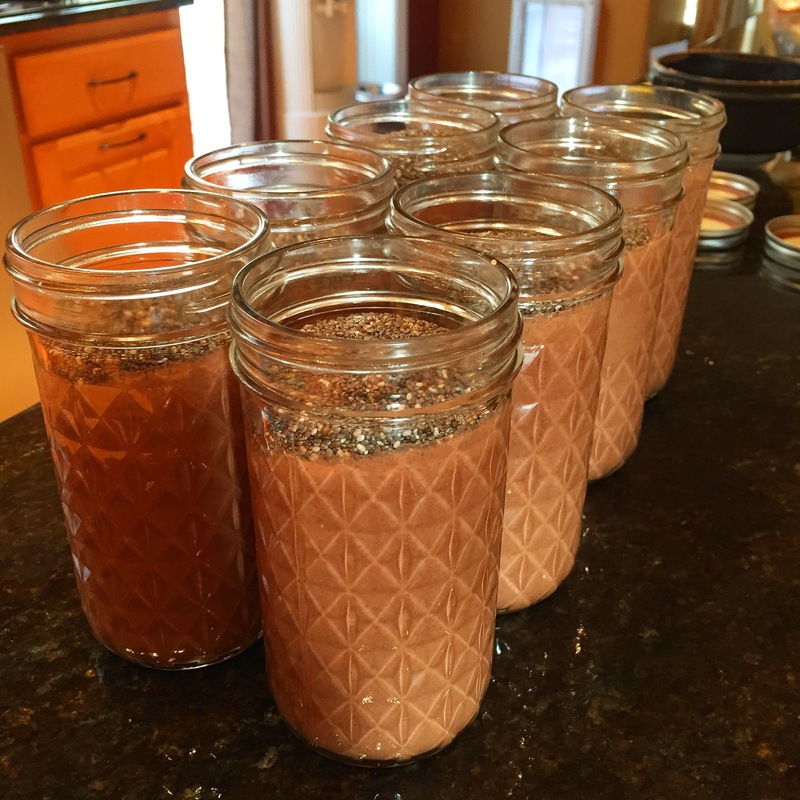 Put the jars in the fridge overnight and devour it in the morning or as a post ski/workout snack.